Using the correct building methods and tools as the historic design, we can recreate a design specific for each client’s need for maximum security and an investment quality entrance door. Order your dream door custom designed for your residential or commercial property, and make a proper first impression that reflects your personality and accomplishments in the same way kings, queens and other aristocracy have done for thousands of years. 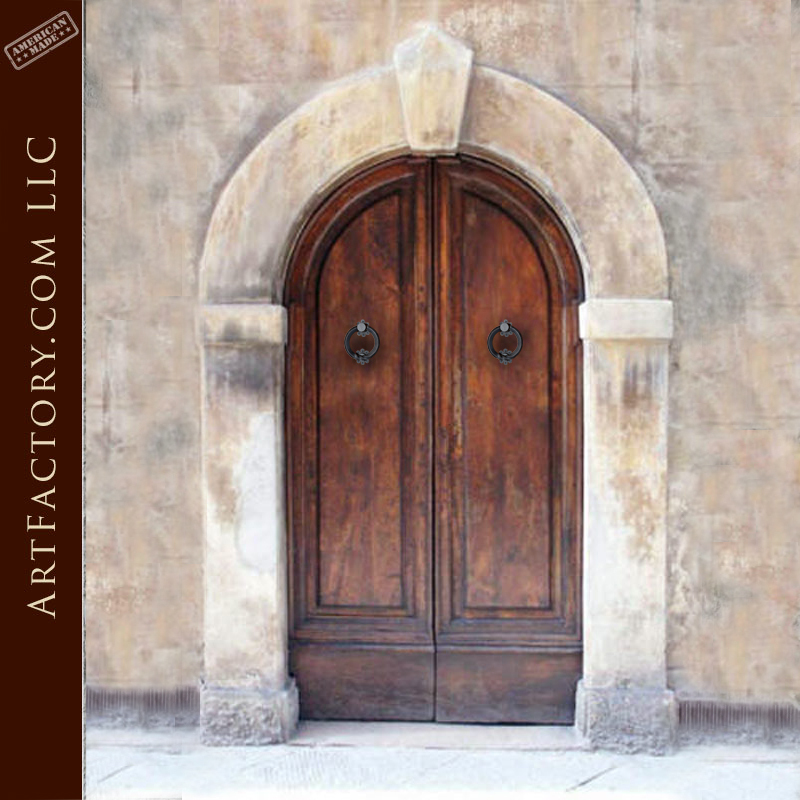 ArtFactory.com offers only the finest quality, artistic signature doors and entrances, individually created by our expert craftsmen, blacksmiths with no limitations on size, design, thickness or finish. We hand make interior and exterior doors in any style – limited only by your imagination. Guaranteed Forever. Virtually maintenance free built to two times the hurricane code. Our doors allow for maximum security that will last forever. Contact us to discuss your designer door ideas at 1-800-292-0008.